Getting your licence with securityguardtrainingontario.com is quick, easy, and convenient, but don't listen to us, check out our reviews to see what our customers have to say. The Private Security and Investigative Services Act, 2005 (PSISA) regulates the investigative services and private security industry. The PSISA was proclaimed into force on August 23, 2007, to help professionalize the industry, increase public safety and ensure practitioners receive proper training and are qualified to provide private investigator services. The PSISA and its regulations govern the way the private security and investigation industry operates in Ontario. The Training and Testing Regulation made under the PSISA came into force on April 15, 2010. All security guards and private investigators must fulfil the mandatory requirements of the Training and Testing Regulation in order to be eligible to apply for a licence. To obtain your licence as a security guard in Ontario you must meet the licensing requirements as set by the PSISA and follow the licensing process. The process of getting your licence takes a variable amount of time depending on a number of factors. Generally, the process of obtaining your security guard licence in Ontario will take approximately two to three weeks to complete from start to finish. The fastest, most convenient, and least expensive way to complete the licencing process is to register for an online version of the course. That will allow you to begin right away and move through the material at your own pace. Make sure that the course you register for is being delivered by a registered training provider that is Ministry Approved and that has a good reputation and positive reviews on their website from former students. The total cost for the licensing process will range from approximately $315.00 to $460.00 for the entire process. The training cost is the only thing that varies in the process. Depending on the method you chose, online versus in-class, and the training the company you select, you will pay more or less. Online training costs much less than in-class training and you can register for as little as $69.99 plus HST for a course. Remember that online courses do not include first aid and you will have to either have your first aid already done or complete it while taking the course so your training provider can obtain your Training Completion Number (TCN) from the ministry. Online courses also provide you flexibility in scheduling and convenience that in-class training cannot match. Make sure that the online provider you select has good technical and instructional support services, especially if you have issues with technology and/or are new to the security industry. The following sections break down the individual portions of the licensing process with costs and time requirements. Have completed the required training and testing. It should be noted that individuals who have been convicted of a Criminal Offence that is not on the list may still be eligible for a licence and should contact the Private Security and Investigative Services Branch (PSISB) to determine if there are any restrictions that should apply. You can contact the PSISB by e-mail at PrivateSecurity@ontario.ca or by 416-212-1650. COST: $99.99 Average plus HST for online delivery (First Aid $80+) TIME: 2-3 Days Min. Once you have determined that you are eligible to apply for a security guard licence the next step is to register for and complete your Ministry Approved 40-hour training program. This program covers the material that you need to pass the ministry test you will be writing in step three. Ministry approved training consists of a number of topic areas that the Ministry and industry stakeholders have deemed relevant to the role of a security guard. The training program can be delivered in a classroom-based format or in an online format. The online format is most convenient as it provides you with the ability to complete the course at your own pace and when you want. The online format does not include the required emergency first aid course (Emergency First Aid CPR/AED Level "A") however, as first aid will need to be completed in class. The cost of first aid is generally not included in the pricing of online training programs. The online format is also the least expensive option with courses costing approximately $99.99 plus tax in addition to the cost of first aid training if you do not already have valid first aid certification. At the completion of your course, your ministry approved training provider will provide you with your TCN, which you can use to book your test and complete step three of the process. Failing to read and follow the instructions given by the training provider. From the first email to the contents of the course, students must pay attention to and follow the instructions provided. Lack of technical knowledge is also problematic for some students as they do not know how to use their computer and be able to save bookmarks and turn off popup blockers - It is very important that the training provider you select has great technical support especially if your computer skills are not the greatest. Lost passwords is another issue for those completing their course online - your training provider should be able to assist with resetting your password via a link or through technical support. Trying to access the course using the wrong link. COST: $66.50 Average plus HST for online delivery TIME: 3 Days Min. The third step of the process to obtain your security guard licence in Ontario is to use your TCN to book and write your test. Your test will be written at one of 30 DriveTest Centres across the province. Test locations can be determined by clicking on the locations link at the end of this section. The fastest way to book is to use the online booking system which can be accessed through Security Guard Testing (https://ontariosecuritytesting.com/book-a-test.html). The test is paper and pencil and consists of 60-questions in a multiple choice format. The test is available in English and French. The test is 90 minutes in length of which 75 minutes is allotted to write the test. The passing grade for the test is 37/60 or 62%. Once you have completed the test it will take two business days to get your results. If you do not pass the test you can retake it but will have to pay the testing fee again. Incorrectly spelt name on TCN submission when compared to ID being used to write the test. Students must make sure the name on Consent And Release Of Liability Form as well as TCN submission is same as that used on ID. Length of time to receive results - contact the training centre is you do not have your test results within the stated time frame. The last step in the process is to apply for your licence through by submitting your application to the Ministry. The fastest way to do this is by applying online through the ServiceOntario website. A correctly completed online application can take up to 10 business days to be processed. If you apply for a licence online through ServiceOntario, you will be able to access a digital licence through your online account as soon as your application is approved. The digital licence includes a QR code which can be used to verify the information printed on the licence. You must replace the printed digital licence with your plastic licence card once it arrives by mail. Clear scanned copies of the front and back of the two (2) different valid (non-expired) identification documents that prove your identity (name, photo, signature, date of birth) and eligibility to work in Canada. You will need copies of two separate pieces of valid identification. One piece must prove that you are eligible to work in Canada. The other piece should be government issued and feature a photograph, your full legal name, your signature and your date of birth - Click here to access a list of Acceptable Identification. The fastest way to submit your application is by way of ServiceOntario. Scan your documents and have them ready prior to beginning the application process. In order to perform a criminal record check, the Ministry requires all applicants to have a guarantor confirm their identity. The guarantor must sign and date the Guarantor Information Form. Applications cannot be processed without a signed confirmation from a guarantor. Any individual who has known you personally for at least two years can act as a guarantor. The guarantor can also be chosen from a list of professions in the following link: Guarantor Professions. The Ministry must be able to contact your guarantor. If the ministry is unable to reach a guarantor, the application may be delayed or returned. As a security guard holding a currently valid licence for another province or territory in Canada it is possible to forgo the training and testing requirements of the Private Security and Investigative Services Act. In this instance, pursuant to section 10 of the Private Security and Investigative Services Act, 2005 (PSISA), and Ontario Regulation 26/10 - Training and Testing - an individual who holds a valid non-expired security guard licence from another province or territory within Canada, and if that individual underwent some form of evaluation to obtain this licence, then the individual may be exempt from the Ontario training and testing requirements. Expired out of province licences will not be accepted for transfer. One may apply for a licence in Ontario with their valid out of province licence during the time it is valid and non-expired. Following confirmation that the licence is valid, ServiceOntario will determine whether or not to accept it for transfer. You can contact the PSISB by e-mail at PrivateSecurity@ontario.ca or by calling 416-212-1650. These two (2) identification documents must cover the following requirements to prove your identity (name, photo, signature, date of birth) and eligibility to work in Canada identification. You need two scanned pieces of original ID. One from List 1 and one from List 2. If you are applying for your licence for the first time you will need to upload a passport-quality photograph. Glasses: You can wear prescription glasses, as long as your eyes are clearly visible and there is no glare in the glasses. Sunglasses cannot be worn. Red eye: Where there is a red eye effect photo will not be accepted. Hats and head coverings: You cannot wear hats or anything that covers your head or face unless it is worn daily for religious beliefs or medical reasons. 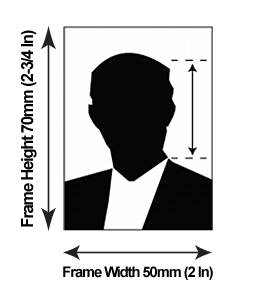 However, your full face must still be clearly visible in your photo and the head covering must not cast any shadows on your face. Image Format: Colour or black and white (not grey scale), Resolution: 300dpi (this ensures you have a sharp and clear photo on your card), File type: .jpeg, Save the scanned file to your computer. You will need to upload the photograph.